What do you do when your first attempt at a cold frame fails? You get grow lights and start an indoor garden! I got these for Christmas and spent the weekend setting up my new garden. For herbs I have rosemary, thyme, oregano, lots of basil (I like to make my own pesto), tarragon, spearmint, parsley, and cilantro. For veggies I planted sugar snap peas, carrots, parsnips, radish, turnips, scallions, leeks, green beans, cherry tomato, jalapenos, bell peppers, arugula, butterhead lettuce, spinach, and endives. I also have a few avocado trees which we started this summer. A lot of these are in small containers so I know I will have to expand my operation and replant them once they get big enough. It’s a pretty sweet setup for now though. The room is one of the warmest in the house and gets a lot of natural light so hopefully supplementing the lost hours of sunshine during the winter will be enough to encourage growth. I had my husband rig up some 2 x 4’s to support the hanging lights so we didn’t have to put hooks in the ceiling. This way the table is movable and I can disassemble the whole thing come summer. I know I still have some time before anything edible pops up, but at least it’s something to look forward to. 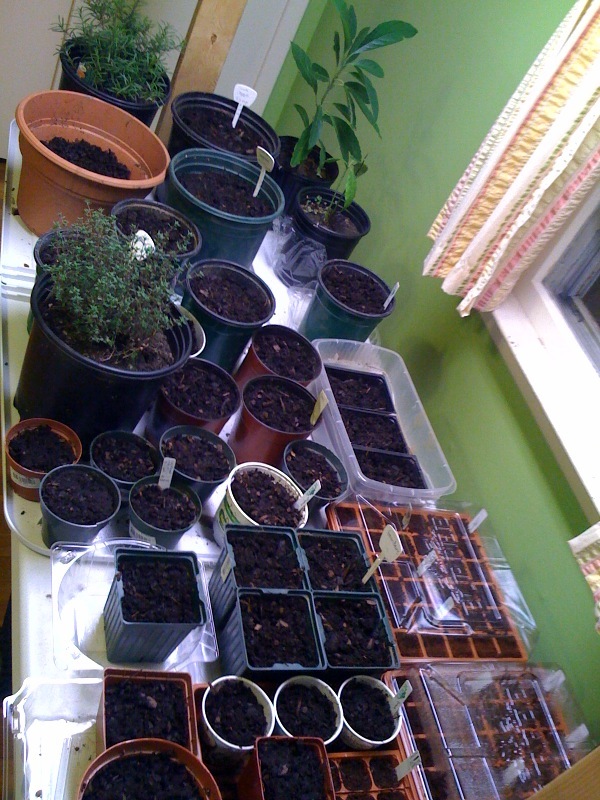 Also, I can use this setup to get a head start on my summer garden by growing starter plants to transplant. It’s crazy to think that I’m the same person who up until a few years ago couldn’t even keep a spider plant alive or cook something as simple as french toast. Entry filed under: My Garden. 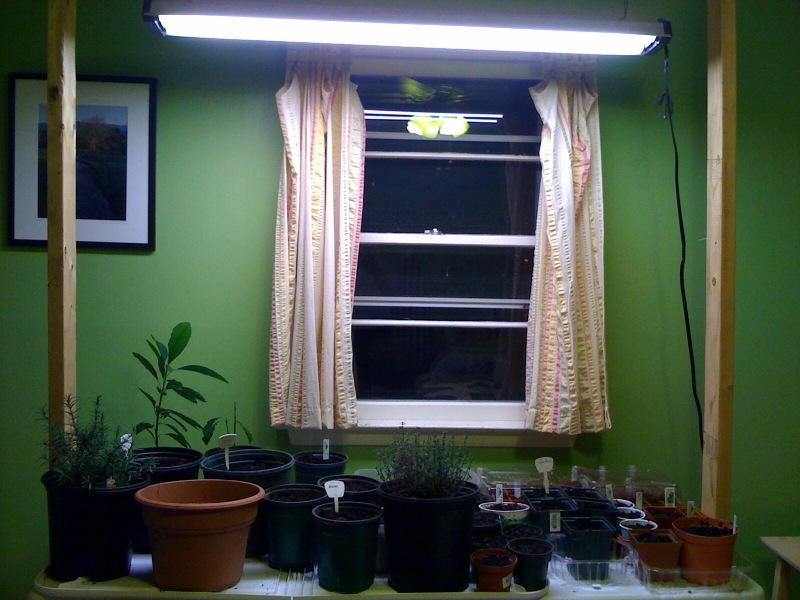 Tags: Grow Lights, Herbs, Indoor Gardening, Vegetables.